Partners of the Law Office of Advocates and Legal Advisers Górecki, Nienartowicz, Grodziński s.c. have been working in the legal services market since 1998. The Law Office is managed by four partners: Advocate Legal Adviser Daniel Górecki, Advocate Konrad Nienartowicz and Advocate Daniel Grodziński. Our team is supplemented by legal adviser trainees and attorney trainees. Our Law Office offers a fully comprehensive range of legal and tax-related services to international corporations as well as SMEs and individuals. Moreover, our advocates and legal advisers provide consultancy to local government units and other publicly funded entities and institutions. Our lawyers work in the following areas of expertise: company law, administrative law, public procurement law, civil law, commercial law, labour and social insurance law, cheque and bills of exchange law, criminal law. Our team has extensive experience in the broadly understood consultancy regarding civil-law contracts and agreements, in particular sale contracts, delivery contracts, contracts to perform specific tasks, construction contracts, leasing contracts, loan and bank account agreements, consignment, transport and warehousing agreements as well as surety and donation agreements. We render regular advisory services in specialized aspects of business activity, such as operating in special economic zones, labour leasing and transport law. A graduate of a court legal training program followed by a judge’s exam, he subsequently completed the legal adviser training program. He is an expert in commercial law, with a focus on company and contract law. He provides day-to-day legal services to companies with foreign capital, i.a. British, German, Dutch and Korean capital. His practice focuses primarily on providing legal services related to corporate processes (formation, transformations, mergers and divisions of companies, advising on activities of company bodies – Management Boards, Supervisory Boards and General Meetings) and all matters related to contracts concluded by his clients (drawing up, analysis, amending their text and participation in negotiations). 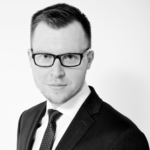 Legal adviser Daniel Górecki has extensive experience in co-operation with joint-stock companies (i.a. day-to-day legal assistance to Odratrans SA, Aspa SA, CEFARM-WROCŁAW SA, FUM Chofum in Chocianów SA, Wrocławska Agencja Rozwoju Regionalnego SA, Bank Współpracy Europejskiej SA, Family Finance SA, Żegluga Bydgoska SA). He also provides comprehensive legal service to his clients on the territory of Germany, in permanent co-operation with German law firms. In addition, Mr. Górecki’s professional experience includes legal supervision over the construction process of the factory of Bosch Układy Hamulcowe sp. z o.o. in Długołęka, management of the process of providing legal services to Bank Współpracy Europejskiej S.A., and legal assistance in privatization of the company H. Cegielski SA in Poznań. As part of co-operation with the Nanotech Group, operating in the innovative market of nanotechnology, Mr. Górecki has also participated in drafting and negotiating a set of contracts related to using a unique nanometallurgy patent for industrial purposes. He is a member of governing bodies in a number of commercial companies – a member of supervisory boards in joint-stock and limited liability companies (i.a. Żegluga Bydgoska SA, Deutsche Binnenreederei AG seated in Berlin, Polska Żegluga Śródlądowa sp. z o.o., Rentrans Cargo sp. z o.o. ), a member of management boards in his client companies (Odra Rhein Lloyd sp. z o.o., Foundrex sp. z o.o. ), as well as a liquidator of company assets (e.g. Odratrans Nieruchomości sp. z o.o.). Moreover, within the framework of co-operation with Poland Workforce Sp. z o.o. 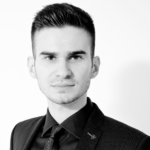 (a temporary work agency specializing in the so called “labour leasing” outside Poland) Daniel Górecki has been dealing with issues related to cross-border labour recruitment for many years. Within the scope of this activity he has drawn up numerous contracts functioning in Poland, Germany and France, has provided legal assistance during inspections carried out by the Social Insurance Institution (ZUS), tax authorities or Labour Inspectorate and participated in disputes with these authorities. He also took part in a number of trainings in this area both in Poland and Germany. Mr. Górecki provided pro bono legal assistance in the process of formation and organization of the company WKS Śląsk Wrocław Handball Team sp. z o.o., which continues the tradition of the sports club WKS Śląsk Wrocław in handball. Daniel Grodziński has extensive experience in providing legal advice on corporate, commercial, labor, civil and penal law. Since 2004 he has been providing legal services and assistance to domestic and foreign clients making investments in Lower Silesia, including investments in special economic zones. He provides legal services also in matters regarding company restructuring. He has rendered legal assistance in relation to preparing draft contracts, representing clients in negotiations and conducting court cases. Moreover, he has provided advisory services to Shareholders’ Meetings, Management Boards and Supervisory Boards of capital companies. The scope of his activities has included setting up and liquidation of companies, mergers, acquisitions, preparation of legal analyses and due diligence reports for companies. In case of companies situated in the economic zones (SEZ) he has provided advisory services regarding real estate acquisition, obtaining permits for business activity, proceedings to amend permits or extend the time limit to fulfill permit conditions, drafting contracts for construction works and negotiating contracts with service providers. As regards penal law Mr. Grodziński represents clients before courts in criminal and petty offence cases, acting both for defendants and plaintiffs. In years 2004 – 2012 he managed the Wroclaw office of Wierzbowski Eversheds. 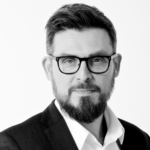 He has participated as a speaker in many workshops and seminars for clients and took part in a number of professional and managerial trainings; he has extensive contacts in the circles of Lower Silesian entrepreneurs, consulting companies (PwC, E&Y, Deloitte) and city authorities. During his career he has provided legal advice, among others, to the following entities: Canon, Lenovo, Opera Software, Provident, Pentair, Orsay, Mead Johnson, Danfoss, McCain, VB Leasing, AmRest, Whirlpool, Wabco, Suedzucker, PCC Rokita, Wrocław 2012 and the Wroclaw Philharmonic. Advocate Konrad Nienartowicz is an expert in providing legal services to business entities. He has extensive professional experience in the law of commercial companies, corporate law, commercial law and the law of contracts and has prepared numerous legal and expert opinions in these areas. In addition, Mr. Nienartowicz is an expert on issues related to civil law and civil procedure, labour law and copyright law, as well as transport law with particular focus on inland and sea shipping. His areas of interest include also issues related to implementation and application of corporate governance standards. He provides day-to-day legal assistance to businesses in Lower Silesia and throughout Poland. 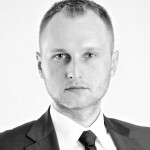 He is currently handling the legal affairs of the OT LOGISTICS Capital Group (previously ODRATRANS) where in 2011 and 2014 Mr. Nienartowicz was engaged in the preparation of an issuance of interest bonds introduced to the alternative trading system CATALYST, operating on the transaction platforms of the Warsaw Stock Exchange (WSE). In 2012 he worked on the preparation of the IPO of the company’s shares and on getting the shares admitted to trading on the regulated market of the WSE. Since 2013 Konrad Nienartowicz has provided legal and advisory services to Polish branches of the international Capital Group TAVISTOCK, which apart from standard legal assistance involves also the development of business strategy, restructuring and assessment of prospective investments. His clients include also real estate developers, medical companies and entities providing services related to creation and application of new technologies. I addition, a significant portion of his clients constitute agricultural companies, engaged in crop production and animal farming. Legal advisory services provided by Mr. Nienartowicz include legal assistance related to contracts concluded by his clients, corporate counseling, on-going legal advice regarding company bodies and their activities as well as solving day-to-day issues connected with the interpretation and implementation of law and any other legal and business matters. 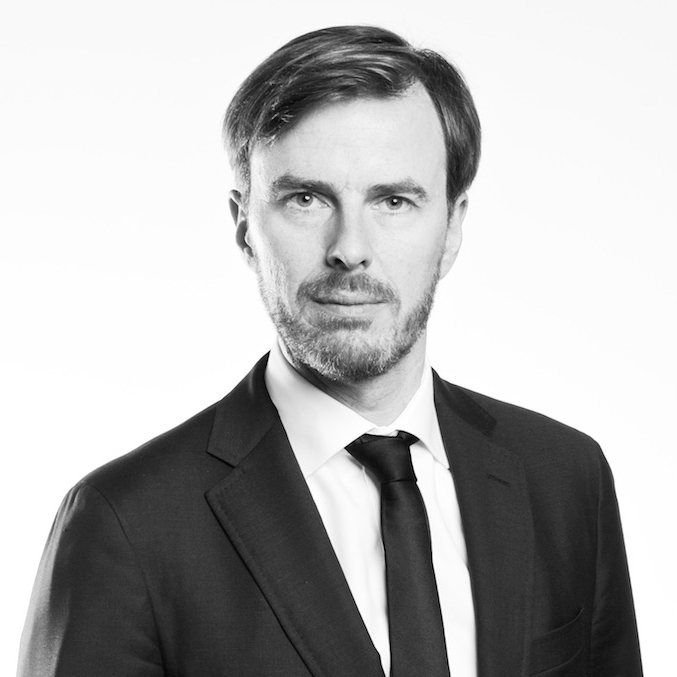 Besides providing advice to entrepreneurs, participating in trade negotiations and assisting in investment projects, Mr. Nienartowicz also represents our clients in disputes before civil, commercial and administrative courts. He has taken part in the preparation of due diligence reports and legal analyses for enterprises to be sold or privatized, as well as assisted with numerous divisions, mergers and acquisitions of commercial companies. He is a member of a number of Supervisory Boards, where he is responsible for the monitoring of compliance with general and internal provisions of law. Urszula Siwicka is an attorney at the Regional Advocates’ Council in Wrocław. She has been cooperating with the PGNG Law Office since 2010. She graduated from the Faculty of Law and Administration at the University of Wrocław. During her studies she took part in the Socrates – Erasmus program at the University of Tromso (Norway) and was a participant at the School of American Law at the University of Wroclaw. She specializes in commercial companies’ law, commercial law and contract law. She provides services related to corporate processes (formation, transformations, mergers and divisions of companies) as well as ongoing legal assistance to Polish and foreign businesses. In addition, she has extensive knowledge and experience in issues related to civil law and civil procedure, labour law and copyright law. 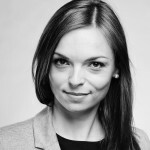 Irmina Dąbkowska is an advocate trainee at the Regional Advocates’ Council in Wrocław. She has completed a Law degree course at the Faculty of Law and Administration at the University of Mikolaj Kopernik in Toruń. She was a participant of the Financial Law Master’s degree seminar, which she completed with the defence of a master’s thesis related to the avoidance of double taxation in Polish-German collaboration. She has gained her legal experience while working for various law offices and public institutions, for example the Ministry of Finance as well as at the Administrative Court. She has participated in many scientific conferences, workshops and competitions (merits gained during conferences organized by the Jagiellonian University, Cracow and the University of Wrocław). Prize winner of the 7th Nationwide Student and Scientific Conference organized by the CDiSP in Lódz for presentation of a legal interpretation of a Supreme Administrative Court’s ruling. Scholarship holder of the Socrates-Erasmus exchange program at the Georg-August University in Göttingen and of the German Academic Exchange Service (DAAD) at the Johannes Gutenberg University in Mainz. She was also a student at the School of German Law at the University of Wrocław. Since 2012 employed at the PGNG Law Office as a lawyer specialized in administrative, civil and commercial law. She provides legal assistance to a number of business entities. Her area of interest is financial and tax law. Licensed Legal Adviser, registered with the District Chamber of Legal Advisers in Walbrzych. Graduate of the Faculty of Law and Administration of the University of Wroclaw. She specializes in handling legal affairs of business entities, corporate advisory, ongoing advisory services regarding company bodies, legal assistance in corporate processes, and analysis of contracts, with particular focus on railway transportation. 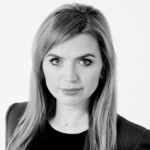 Legal Adviser Ewa Tonderys-Jedoń has extensive experience in handling the legal affairs of corporations. •	carrying out due diligence analyses in accordance with the principles of corporate governance. 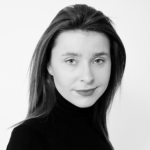 She is currently providing ongoing services to business entities in the Lower Silesia and Poland-wide. 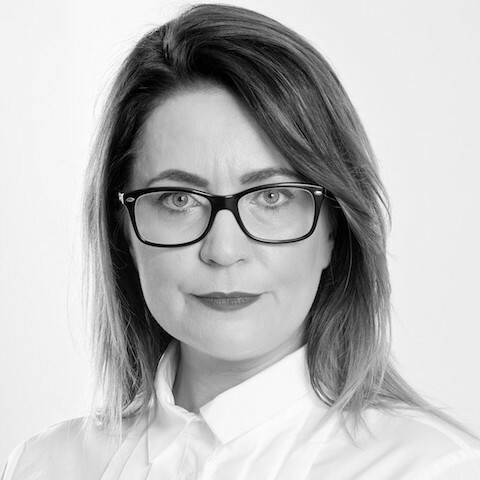 At our Office Ms. Tonderys-Jedoń is responsible, among others, for rendering advisory services to companies belonging to the OT LOGISTICS Capital Group. Licensed Legal Adviser registered with the District Chamber of Legal Advisers in Wroclaw. A graduate of Law at the Faculty of Law of the University of Wroclaw, currently pursuing PhD studies at the Department of International and European Law of the University of Wroclaw, during which she has published articles i.a. in the yearbooks of the Willy Brandt Center for German and European Studies and in the Law Review of the University of Wroclaw. Co-founder of the ELSA Legal Clinic. She has been gaining professional experience since 2002 in legal offices and corporations, including the STEINHOFF INTERNATIONAL GROUP, providing legal services to companies (including private and public joint stock companies), handling corporate processes (incorporation, transformation and mergers of commercial companies), drawing up and negotiating business contracts, as well as handling issues related to bankruptcy and restructuring law, labour law (i.a. cooperation between company governing bodies and trade unions, as well as collective redundancies). As Coordinator for Legal Projects of the STEINHOFF GROUP she also took part in extending the Kostrzyn-Słubice Special Economic Zone. 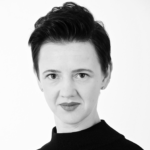 Ms. Pajkert’s interests include also the broadly understood civil law and family law. At our Law Office she is involved mainly in providing comprehensive legal services to entrepreneurs. She is fluent in English and handles German speaking Clients as well. She has been on our team since 2017. 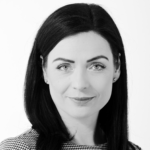 Joanna Zdunkowska graduated Law from the Faculty of Law, Administration and Economics at the University of Wroclaw and completed her legal adviser training with the District Chamber of Legal Advisers in Wroclaw. She has over a decade of experience in various areas of law and has in-depth practical knowledge of civil law, civil procedure, bankruptcy law and commercial contract law. 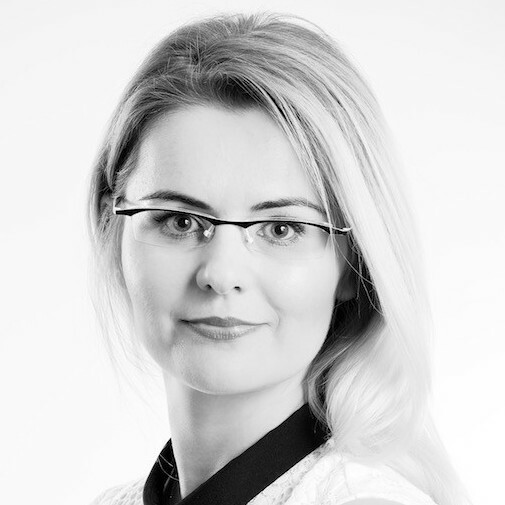 While providing legal advice to investment fund management companies, Ms Zdunkowska has gained substantial knowledge of matters related to establishing closed-end investment funds, issuing investment certificates and running day-to-day fund operations. She has participated in the registration process for a number of securitization funds and closed-end private equity funds. In addition, she has extensive experience in preparation of due diligence reports and legal analyses on trading in receivables. During her years of legal practice she has handled dozens of debt portfolios related to the following sectors: banking, transportation, IT, advertising and construction. Her experience also includes providing legal services to contractors participating in public tender procedures. She has been cooperating with our Law Office since 2017. 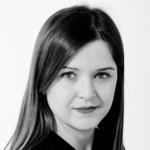 Irena Mikulska, in 2006 graduated from the Wroclaw School of Banking, completing studies in Banking and Finance, specialization – Business Accounting and Finance. She has been co-operating with the Law Office since 2005. She is responsible for implementing the PGNG Law Office’s marketing strategy and supervises the overall organization and operation of the Office. Ms. Mikulska co-ordinates the work of the subordinate team of employees. She is also responsible for contacts with our clients and with all organizations and institutions, such as courts and tax authorities.